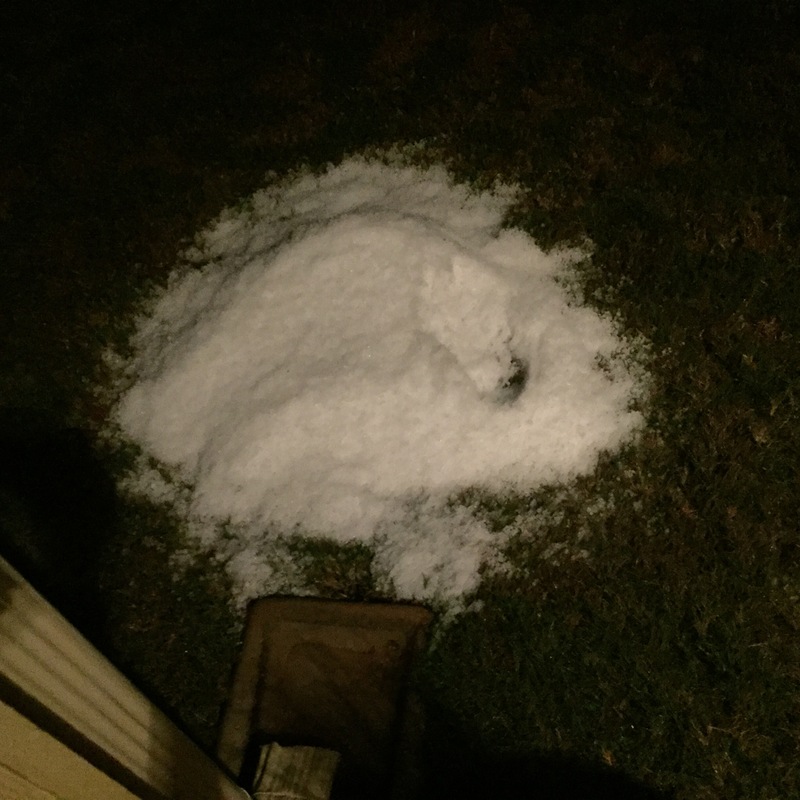 The first major hail storm since we moved to Texas is sticking around a bit. This pile (above) remained Monday evening, a full 24 hours after it fell. It was kind of amazing watching it fall Sunday night. 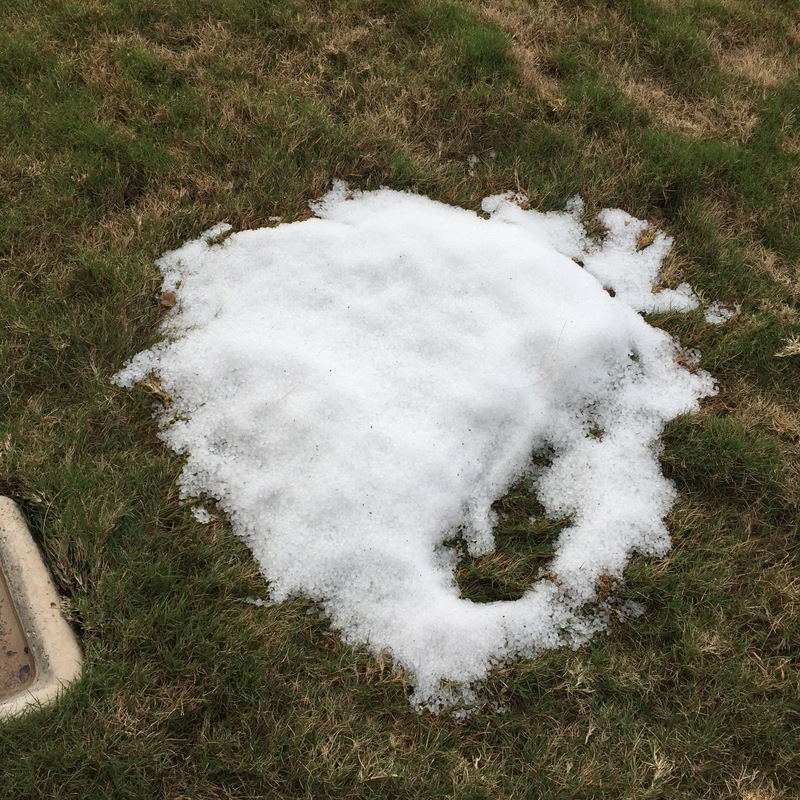 The pile of hail was a result of it coming out of our downspout and accumulating on the grass at the bottom. Kind of looks like a huge pile of salt, right? We had them at all the downspouts around the house. Hopefully, it will warm up enough on Tuesday and melt it away. 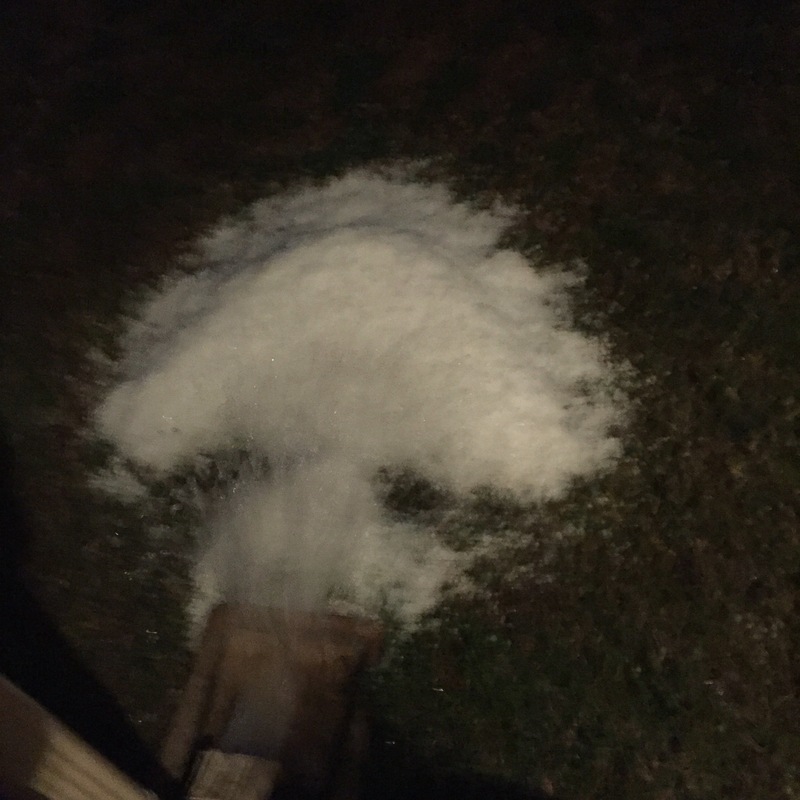 This entry was posted in Weather and tagged hail, storm on December 28, 2015 by Julie Riebe.